Young Molly Hocking is not your ordinary 16 year old. WVLX Manager Tim Nowell, Midfield Buyer Alan (Tich) Grieve, Organiser Molly Hocking, Farmgate Stockfeeds Hannah Torney, WVLX Director Brendan Abbey, SKB Rodwells Agent Ben McVean. Click on image to enlarge. Molly has spent the past 60 days hand feeding two cattle in order to sell them at Western Victoria Livestock Exchange (WVLX) in Mortlake to raise money for drought affected children. Having grown up on her family’s farm in Yambuk where she is also completing an apprenticeship, the Brauer College student, who has also completed a Certificate II in Agriculture while studying year 10, has a deep affection for farming and concern for those affected by the drought. “I know how tough the drought has been on some families, and I really wanted to do something specific to help the kids in those areas,” Molly said. Molly came up with the idea of grain feeding two cattle from their ‘Tigerlilli Angus Stud’, and then selling them at the WVLX saleyards in Mortlake, with all proceeds going to the Ag class at Bourke Secondary College to assist in running an excursion designed to give the students a break from the drought. “We were also very fortunate that Farmgate Stockfeeds came on board and were happy to donate the feed for the cattle, which was very generous and helped with the project,” Molly said. WVLX Manager Tim Nowell said today’s prime market was the perfect time to auction off the cattle for such a good cause as there was an exceptional gallery of buyers which meant the maximum profit made for Molly. 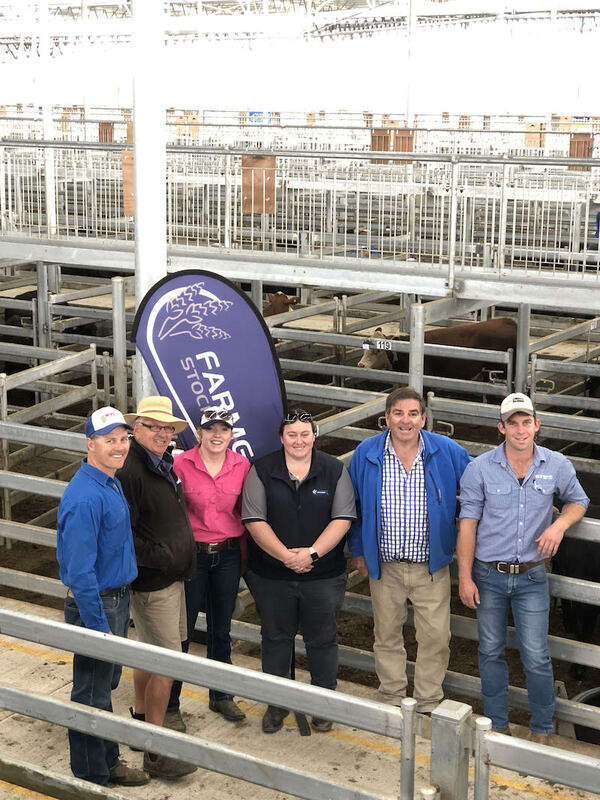 “There were 14 individual buyers at today’s sale, but Midfield Meats was the winning bid for the first steer at $1500 per head and WVLX were very happy to support the cause and buy the heifer, also for $1500 per head,” Mr Nowell said. Stock Agent Ben McVean from SKB Rodwells handled the selling of the charity cattle, and can be contacted on 0428 025 622 if anyone would like to contribute further to Molly’s cause.